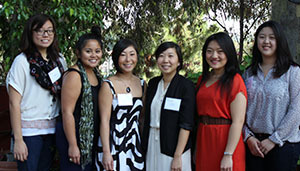 I am very pleased to announce that Graduate Student Ms. Sophia Cheng and Undergraduate Student Ms. Jenny Chhea are the recipients of the 2012-13 Don T. Nakanishi Award for Outstanding Engaged Scholarship in Asian American and Pacific Islander Studies at UCLA. Ms. Sophia Cheng received her B.A. in Asian American Studies from Pomona College and will be graduating this June 2013 with an M.A. in Asian American Studies from UCLA. Community leaders, faculty and fellow students passionately supported Ms. Cheng for the award because of her deep commitment to community through research, teaching, and activism. 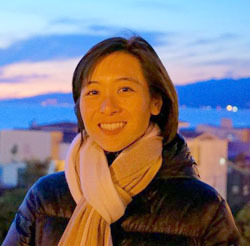 Her thesis, "Community Organizing in Los Angeles Chinatown: Historical Case Study of the Cornfields," provides recommendations for community organizing around equitable land use. Using the evolution of the Los Angeles State Historic Park as a case study, Ms. Cheng recommends that community groups form coalitions with environmentalists, emphasize governance over representation, and forestall misrepresentation of their interests by ethnic elites. Prior to attending UCLA, Ms. Cheng served low-income Asian American and Latino/a youth by working at Los Angeles Unified School District, Asian Pacific American Legal Center and Southeast Asian Community Alliance. Currently, she is involved in a multi-generational, multi-racial and multi-lingual grassroots organization called Chinatown Community for Equitable Development (CCED), which she helped launch while in graduate school to protest the construction of Walmart in Chinatown. CCED has since expanded into a volunteer-based group that organizes immigrant tenants and small business owners. Its accomplishments include the mobilization of 200 community members in an anti-Walmart demonstration, the collection of petitions from 90 small businesses, and civic engagement on Proposition 30 and the municipal election, including successfully organizing a Chinatown candidates' forum for City Council District 1. Ms. Cheng has been instrumental in recruiting members and fostering shared leadership. One of her letter writers stated, "As a community activist for over 40 years, I find that Sophia was able to bring the university to the community, and the community to the university, forming a community-university alliance". Healthy Nail Salon Collaborative, including providing data collection and analysis on "The Hands That Feed Us"-- the first national report on labor conditions along the food chain. 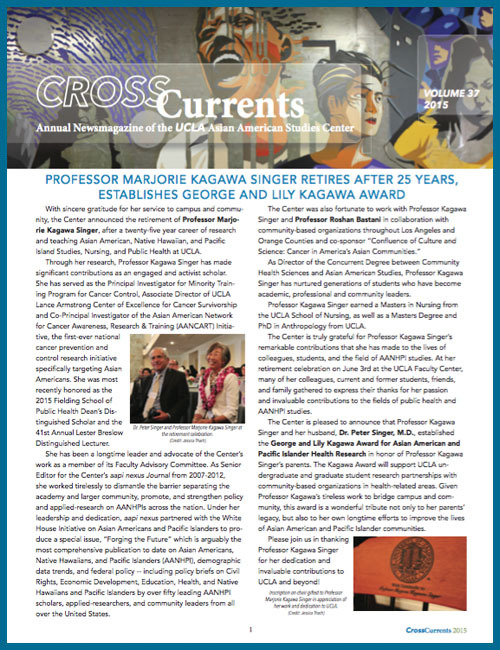 She served as a Teaching Assistant for AAS40 Asian American Movement and AAS140 Power to the People respectively, in which one faculty member commented, "She challenged students to connect the passion of historical social movements with urgent concerns of today -- a challenge she has roundly met herself." In addition, she is currently co-authoring an article on promising practices for campus community research partnerships. Another professor commented, "She is one of the most committed graduate students to progressive social change, and equally important as her activism is matched by a willingness to use applied research in the service of informing and guiding action, to generate knowledge that turns efforts into social agency. Like many of our students, she is an organizer, but unlike most, she practices engaged scholarship, linking academic endeavors to community." After graduation, Ms. Cheng will be working as the policy and research coordinator at the Restaurant Opportunities Center of Los Angeles (ROC-LA). The position, in her words, "Allows me to pursue my dream career of combining research, policy and organizing." At ROC, she will support restaurant worker-led policy campaigns to transform the industry's patterns of poverty wages, race and gender discrimination, and lack of benefits. Ms. Jenny Chhea, a UC Regents and Mortar Board Society Scholar, is a sophomore majoring in History and minoring in Political Science and Asian American Studies at UCLA. In her short time at UCLA, she has demonstrated her dedication to bridging campus and community. "Ms. Chhea is an extremely driven student in terms of executing original and rigorous research grounded in the stories of our communities," noted one of the persons who nominated her. During her first year of college, she wrote a stellar paper, "The El Monte Case: Community and Resistance," an analysis of the relationship between legal institutions and grassroots activism in addressing the injustices of the historic 1990s El Monte sweatshop struggle. She utilized a variety of secondary sources in combination with rich historical documents and several oral histories she conducted herself. Beyond the classroom, Ms. Chhea has developed a strong background in community service and leadership, through working with several non-profit organizations. In her work with Chinatown Community for Equitable Development (CCED), she assisted with outreach efforts to the residents of Chinatown, pounding the pavement, calling residents, and leading other educational programs to raise awareness among residents about the economic well-being of the area. 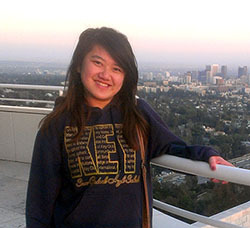 On the flipside, she educated her fellow students by publishing an article in the Daily Bruin entitled, "Addition of Wal-Mart to Chinatown would compromise the Area's Cultural Integrity," in the February 7, 2013 issue. As an intern for the Asian Pacific American Legal Center, she worked extensively on voter registration and outreach for Proposition 30. She assisted the Pacific Clinics - Asian Pacific Family Center in Rosemead by researching data on legal policies, ordinances, and laws related to gangs and substance use by youth and adults. Moreover, she worked with the Workers' Rights Clinic of Neighborhood Legal Services of Los Angeles County, on issues of labor exploitation. Ms. Chhea used her bi-lingual Mandarin and English skills to educate workers on labor rights, while assisting them with logistical issues such as filing wage claims and seeking unemployment benefits, tasks that are major challenges for immigrants or those with limited English proficiency. One of the letters for Ms. Chhea concluded, "...she embodies the legacy of coupling rigorous academic research with a deep commitment to empowering Asian American communities that Professor Don Nakanishi developed for over four decades." 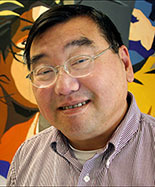 Through the generosity of UCLA faculty, students, staff, and alumni as well as community leaders, an endowment was established that honors Professor Emeritus Don T. Nakanishi, who served on the UCLA faculty for thirty-five years and who ably directed the Asian American Studies Center (1990-2010). Among his invaluable contributions to Asian American Studies, Professor Nakanishi co-founded two, national publications: Amerasia Journal (1971) and AAPI Nexus: Asian American and Pacific Islander Policy, Practice, and Community Research (2003).Professor Nakanishi published widely in the areas of Asian American politics and education, mentored thousands of students, and provided professional and community-based service locally, nationally, and internationally. The Nakanishi Award includes a $2,500 cash prize award for each recipient. The award rotates annually between faculty and students. The faculty award will be given during the 2013-2014 academic year. Please join me in congratulating Ms. Sophia Cheng and Ms. Jenny Chhea!